Locker Slope Top is constructed of 1/2" thick HDPE material. 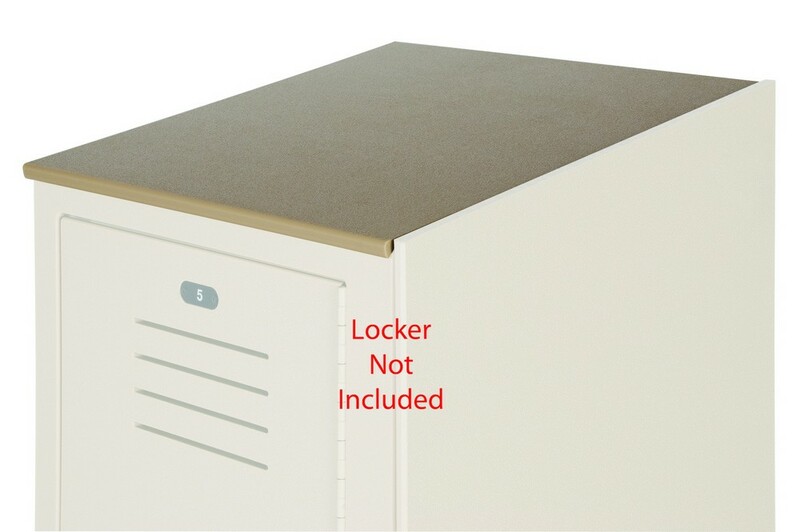 Slope Top is designed to cover top of lockers and will not allow dust or items to be placed on lockers. Kit includes slope top, 1" thick back plate and all mounting hardware. Constructed of Beige High Density Polyethelene plastic. The Slope Top covers a bank of 3 Standard or Z lockers, and is 18" deep, 45" long. Mills Company warranty of 20 years on plastic components against rust, delamination, and breakage under normal use.